Crystal Snow Quintet | Zonyxa. Unique and contemporary jewellery for Work. Love. Play. Bold yet icy, playful yet elegant, a striking contrast of blue azure turquoise roping with glazed ice quartz balls and five frosty crystal cubes. Perfect for hot summer days or nights. 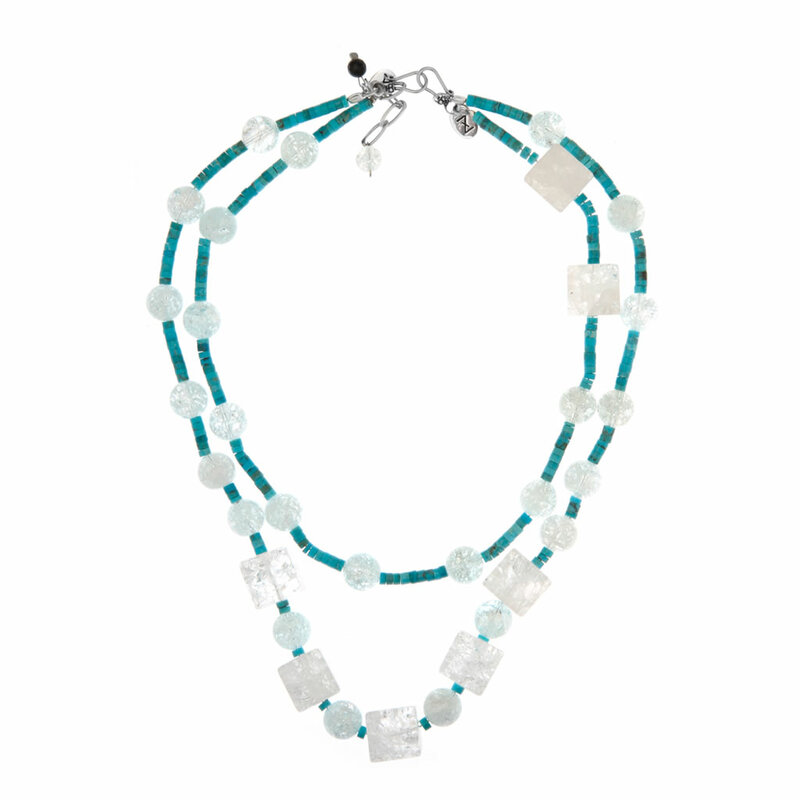 Works in tandem with CRYSTAL SNOW GRANDE necklace to create either a double strand necklace or a long necklace. Alternatively, it can be used as an adjustable length bracelet (with or without the CRYSTAL SNOW GRANDE necklace). Materials: Turquoise, crystal and ice quartz.